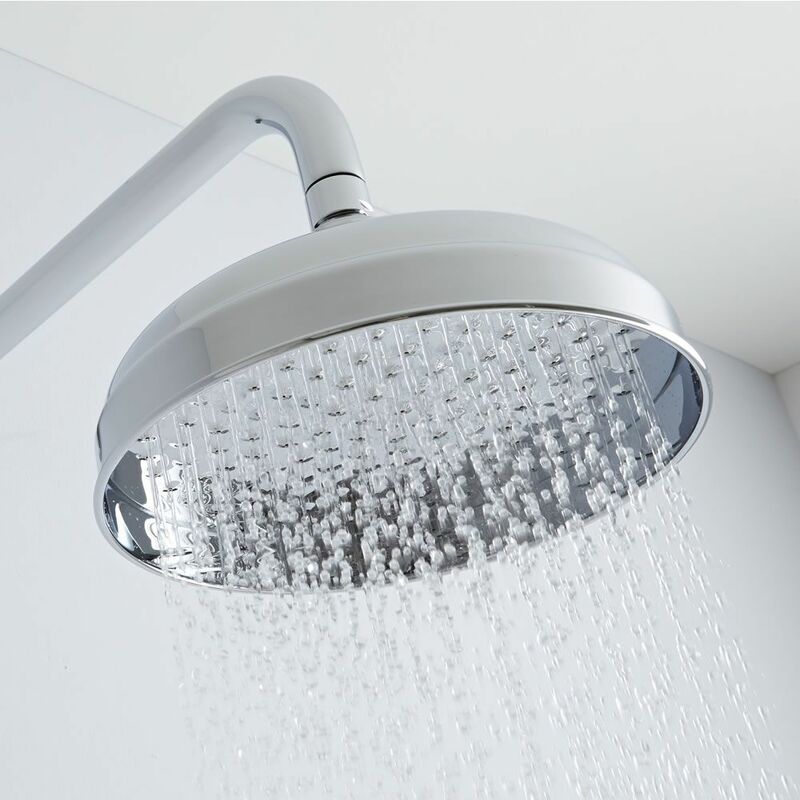 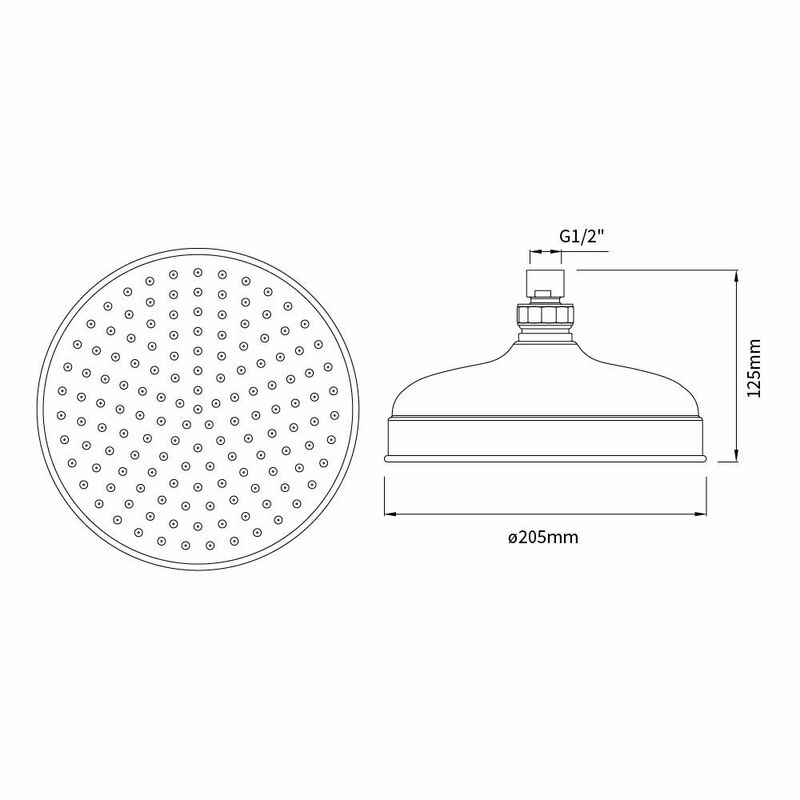 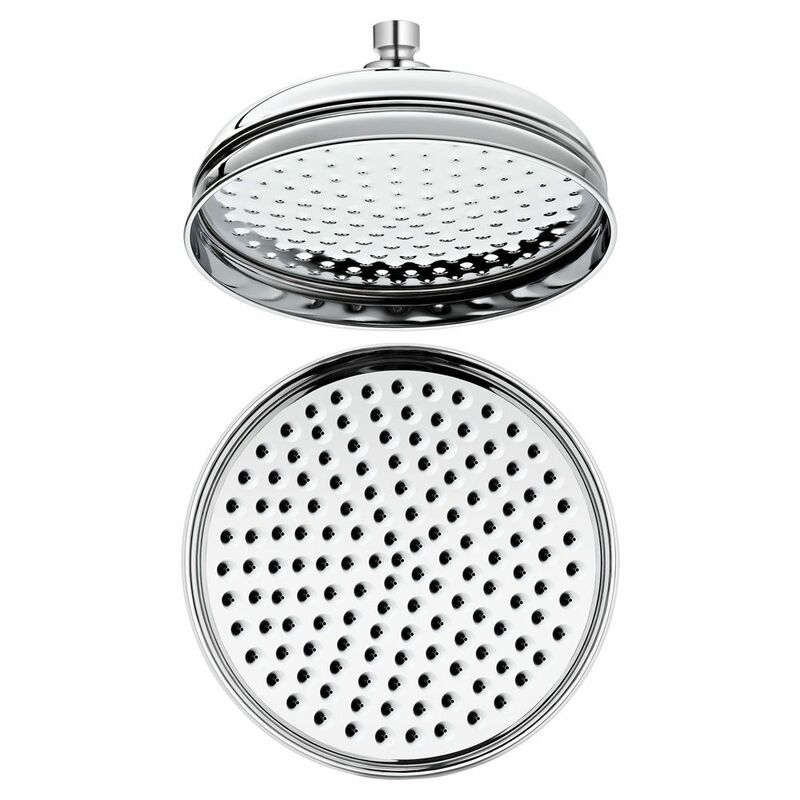 Enhance your traditional bathroom with the Milano 8" round apron shower head. 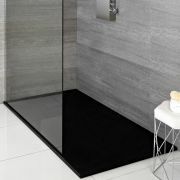 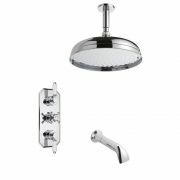 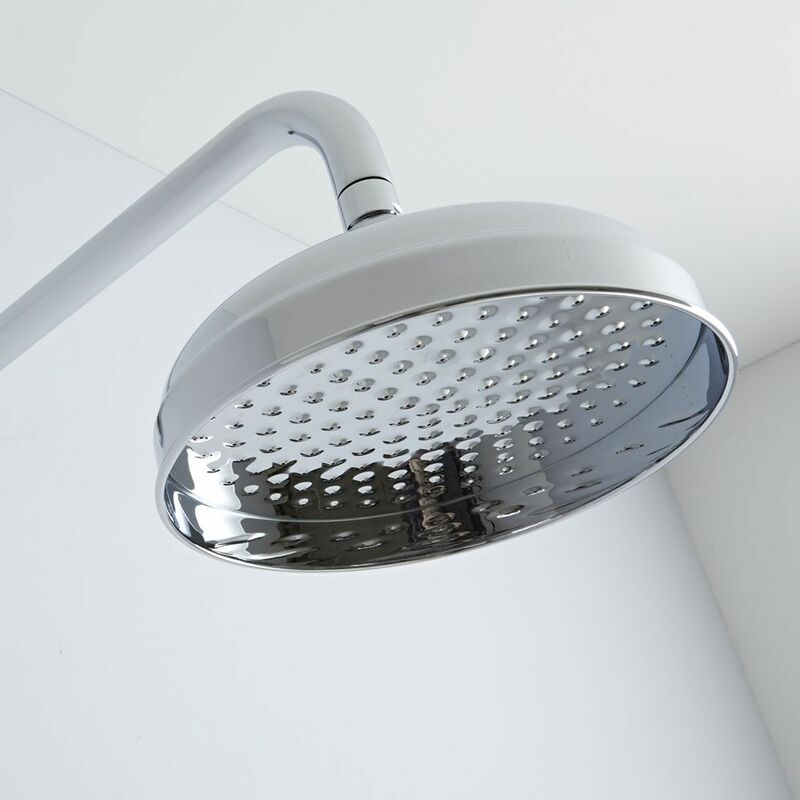 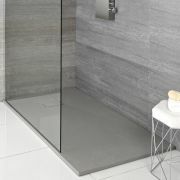 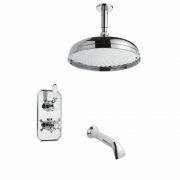 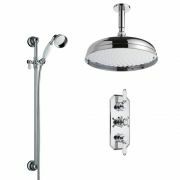 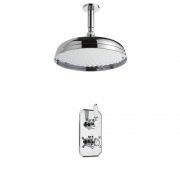 Featuring a classic and elegant design, as well as durable polished chrome finish that will not rust, this apron shower head delivers a refreshing rainfall effect to awaken your senses. 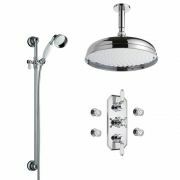 Measuring 205mm in diameter, it has a solid brass construction so you can be assured of quality and durability.